Next, take a brush or your fingers and apply hair gel to your part/root area. If you've got grown out roots, this is a fun way to cover them! Using the same brush, rinse the gel off, and apply craft glitter to the area you added the gel to. If you're not using a brush, go ahead and sprinkle the glitter from your container to where you've applied the gel. Try to concentrate more at the root, and gradient it out. 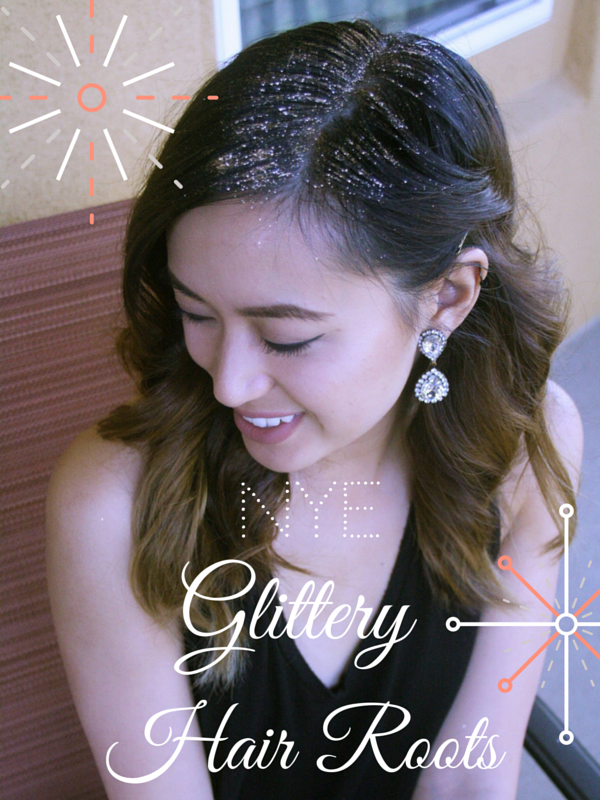 Apply hair spray to set the glitter. Happy New Year! and Happy Sparkling! So gorgeous!! Love it all!! Happy new year love!! Thanks! <3 Happy New Year!